With Smoketree's prime location in the North Carolina mountains, this year-round resort enables visitors to partake in a variety of activities. Hiking is a favorite pastime in spring, summer, and autumn. But when the snow begins to fall, downhill skiing is the preferred sport. On-site amenities include an indoor swimming pool, a sauna, exercise equipment, and a game room. 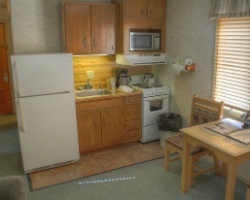 All units have kitchenettes. Comfortable mountain retreat for outdoor lovers! Week 32! Buyer may receive a title fee credit, inquire for details! Rare resale in North Carolina's Blue Ridge Mountains! Motivated seller, all reasonable offers considered! Discover the great outdoors during white season week 19! Buyer May Receive A Title Fee Credit, Inquire For Details! Close to many activities available for all ages! Buyer May Receive A Title Fee Credit, Inquire For Details! 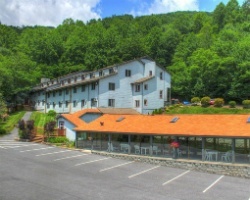 Enjoy peaceful and relaxing vacations in the scenic Blue Ridge Mountains! Make an offer today! Lovely mountain retreat for outdoor lovers! Yearly usage in June week 25! Make your offer! Price Reduced! Conveniently located near many activities for all ages! Annual week 46! Buyer may receive a title fee credit, inquire for details! Peaceful mountain retreat! Perfect for outdoor lovers! Week 28! Buyer may receive a title fee credit, inquire for details! Come enjoy peaceful and relaxing vacations in the Blue Ridge Mountains! Week 48! Buyer may receive a title fee credit, inquire for details! Great for outdoor lovers! Enjoy peaceful and relaxing vacations! Week 2! Buyer may receive a title fee credit, inquire for details! Peaceful and relaxing location! Great for outdoor lovers! Christmas week 51 every year! Inquire for details!